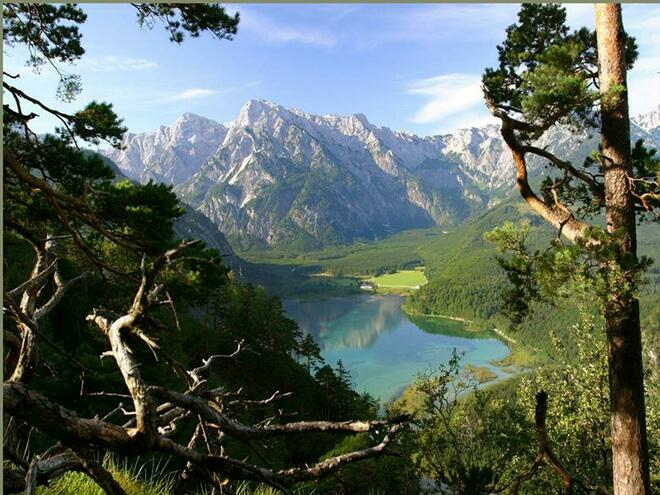 The Almsee doesn’t just attract numerous visitors in the summer. 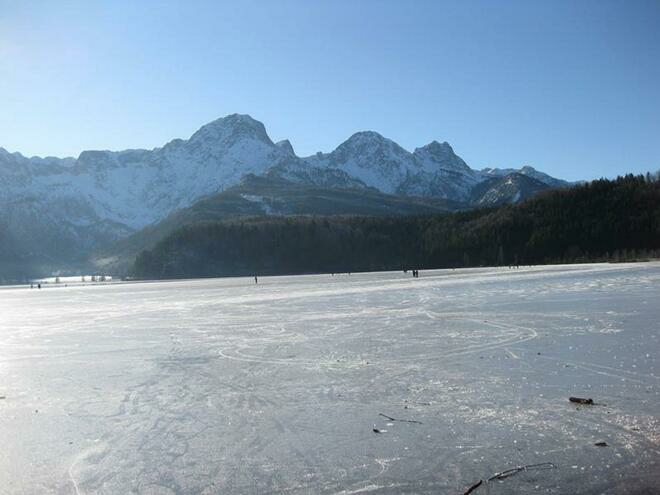 In winter, the frozen lake is a popular meeting point for curling players and ice-skaters. 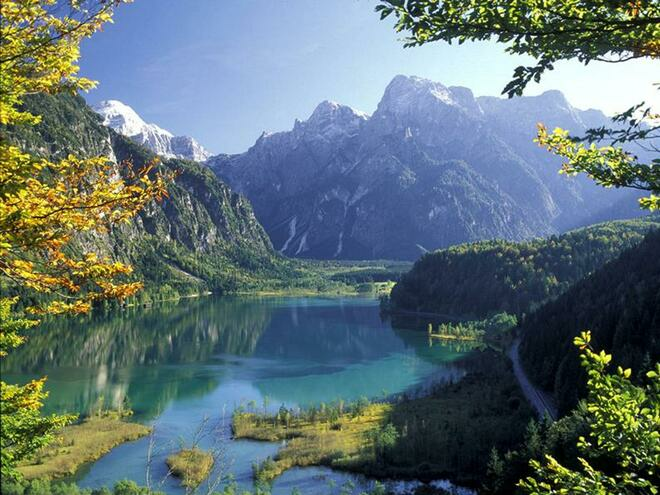 For those who prefer to stay on firm ground, a winter hike along the lakeside is highly recommended! Walking on ways and on the ice is on own danger! By car: Highway A1 West Autobahn Vienna <> Salzburg Exit 207 Exit Vorchdorf at the roundabout - direction Pettenbach, approx. 12 km Highway A9 Pyhrn Autobahn Passau <> Graz Exit 5 Exit Ried im Traunkreis - direction Voitsdorf - Pettenbach, approx. 10 km By train: Closest intercity stop Wels train station (ÖBB train and Westbahn), change to a regional train in the direction of Grünau im Almtal "Almtalbahn" (ÖBB train) By bus: Bus route 533/535 Gmunden - Grünau - Almsee By air: Blue Danube Airport Linz/Hörsching 60 Km W.A. Mozart Airport Salzburg 100 Km Vienna International Airport Vienna/Schwechat 255 Km Franz-Josef Strauss Airport Munich 265 Km Walking on ways and on the ice is on own danger!